Will Lever Ayush Makeover Help HUL Make Inroads In Southern Ayurvedic Market? As demand for ayurvedic products grows, especially driven by Yoga guru Baba Ramdev’s Patanjali Ayurved Ltd., FMCG major Hindustan Unilever Ltd. has relaunched its Lever Ayush brand in southern India, the biggest and most competitive market in the space. The Rs 32,000-crore HUL will offer 20 Lever Ayush products for as low as Rs 30 in the hair, skin and oral care categories across Tamil Nadu, Kerala, Andhra Pradesh, Telangana and Karnataka -- the five states are home to several local ayurvedic brands. Patanjali, which largely operates in the north, offers products for as low as Rs 25. “Traditionally, the southern market consumer is a strong user of ayurvedic products, which could have made HUL consider launching the product initially in the south,” said Devangshu Dutta, chief executive officer at Third Eyesight, a retail and consumer products consulting firm. There are several well-established brands in the south, the largest market for ayurvedic products, and HUL will find it difficult to make inroads, says Sageraj Bariya, vice-president and analyst at East India Securities. “(HUL) has been present in the ayurvedic segment with Lever Ayush for a long time, but this has not been their core competency area. In terms of price points, Hindustan Unilever will be competing closely with Patanajli, which has products in a similar price range. It looks difficult for Lever Ayush to really give a stiff competition to Patanjali and other players in the south,” Bariya says. There are more than 15 ayurvedic brands in southern states, the prominent being Dhathri Ayurveda, Sakunthala, Pankajakasthuri, Heena and Siso. Patanjali, which has done well in north India, has also managed to make a mark in the south despite local ayurvedic brands having a strong presence, says brand consultant Hairsh Bijoor, founder of Harish Bijoor Consults Inc. In terms of pricing, HUL is competing with Patanjali head-on. The largest consumer goods company in the country has priced its products in the Rs 30-130 range, close to that of Patanjali’s Rs 25-110. South-based Ayurvedic brands have priced their skin-care products 30 percent lower and toothpastes 20 percent lower compared to other major brands in the space. In December 2015, HUL had acquired Kerala-based Moson Group’s Indulekha for Rs 330 crore, just when competition in the ayurvedic segment had started to witness some momentum. HUL decided to relaunch Lever Ayush to compete even more fiercely in the ayurvedic space by offering lower prices as Indulekha products are more premium in terms of pricing. “Despite having Indulekha in their portfolio, the company has re-launched Lever Ayush as HUL wants a larger market share in the ayurvedic space, and I expect the company to launch more ayurvedic products going ahead,” said Prashant Agarwal, joint managing director at business consulting firm Wazir Advisors. Arvind Singhal, chairman of management consulting firm Technopak Advisors, believes HUL’s strong distribution channel will help the company. 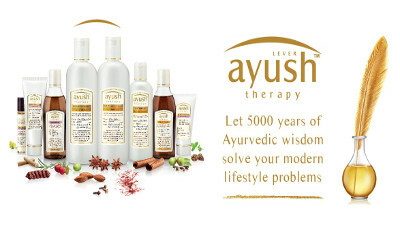 Lever Ayush, launched in 2001, failed to perform because the ayurvedic market was relatively small, though growing at a steady pace, experts say. “With the entrance of Patanjali, the Yoga guru awakened the latent demand for ayurvedic products, which is now an eye-opener for other FMCG companies to get aggressive in the ayurvedic space, as every consumer player wants a share in the expanding ayurvedic market,” said Agarwal. Patanjali’s turnover grew over two-fold to Rs 5,000 crore in the financial year 2015-16. The company sees it rising to Rs 40,000 crore by 2018-19, according to an Axis Capital report released on December 12, 2016.